As I mentioned last week, we have a guest staying with us from out of town this month. Sunday we took her to one of my very favorite spots to visit: Swanton Berry Farm. 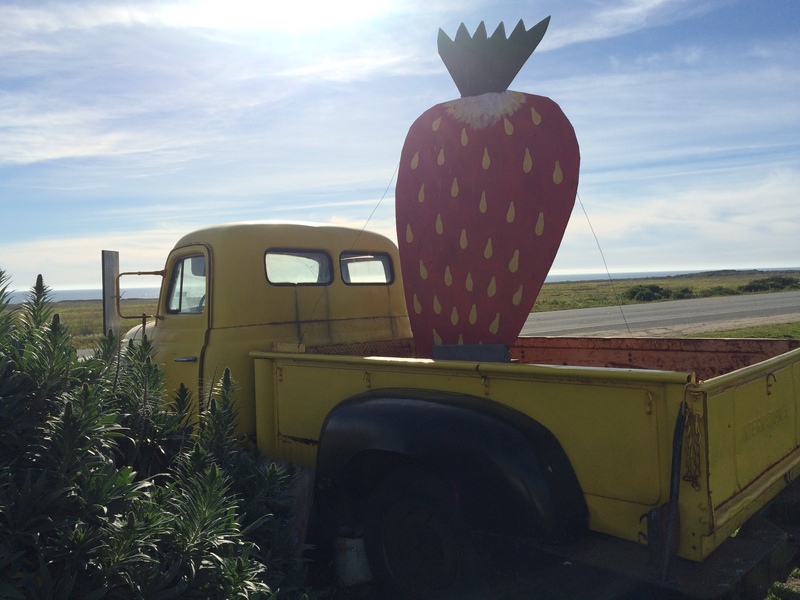 It is an organic strawberry farm, right on Highway 1, overlooking the Pacific Ocean. At the end of Swanton’s driveway is the sweetest farm stand, where you can pick up some baskets, before heading to the fields. 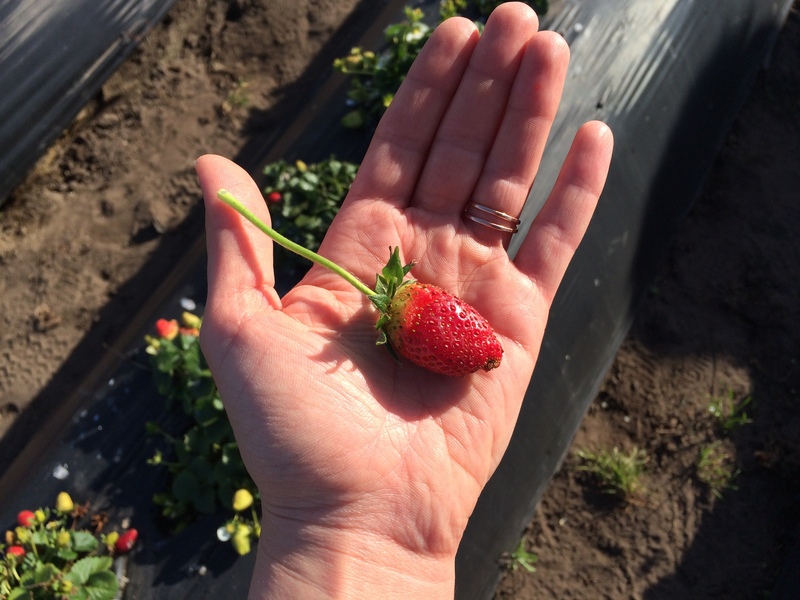 Usually, strawberry season runs from April to October, but we were thrilled to find that there were already plenty of juicy berries on the bushes! 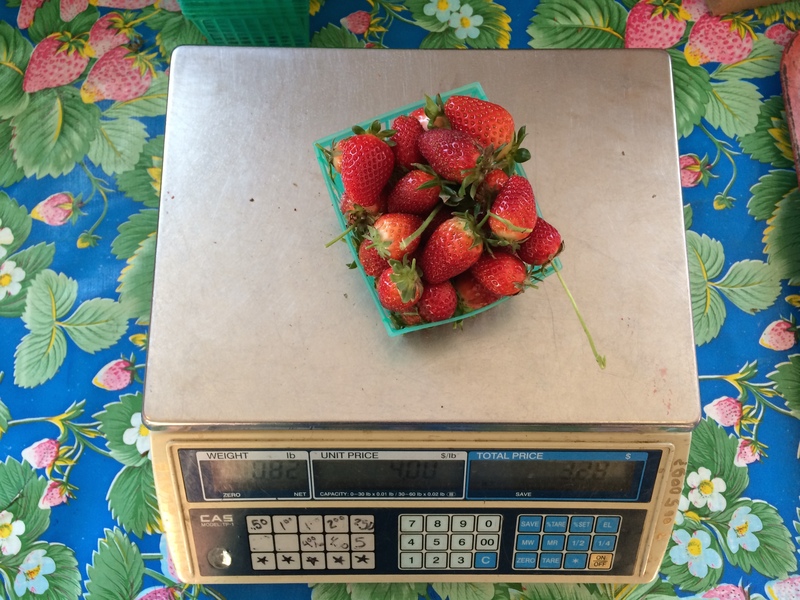 Back at the farm stand, you weigh your berries and pay at the “honor till.” Then you can settle into one of the many cozy spots, and enjoy your freshly picked strawberries. 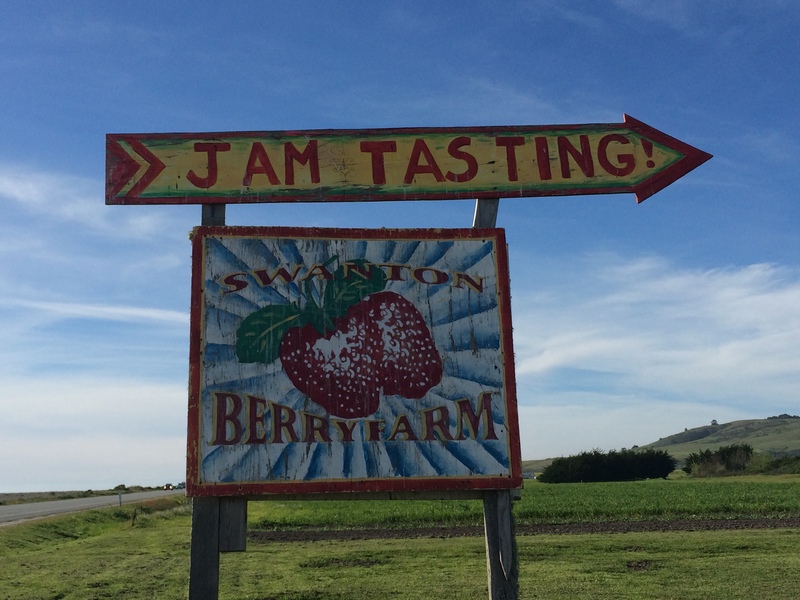 In addition to fresh berries, the farm stand offers strawberry jam (which can be tasted by spooning it onto sample animal crackers), strawberry scones, chocolate covered strawberries, and homemade strawberry shortcake. 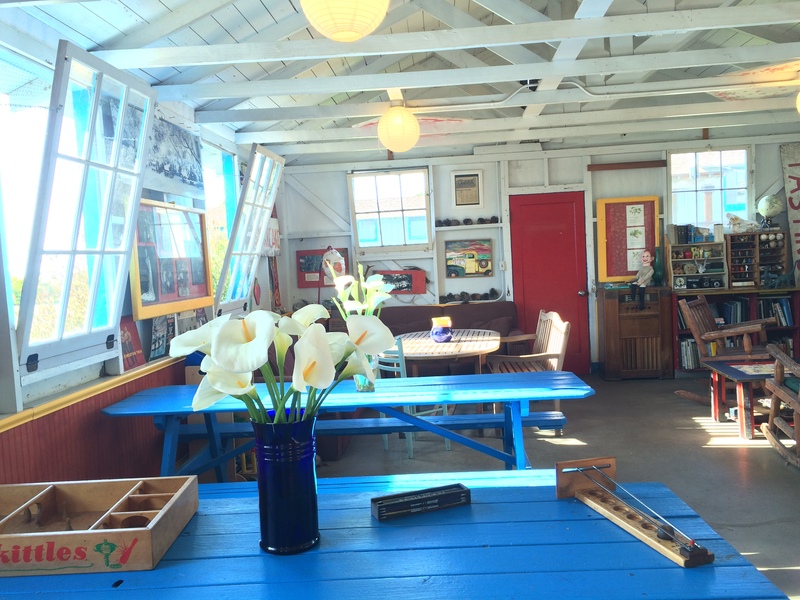 I love the cozy atmosphere, complete with rocking chairs, books, and games. 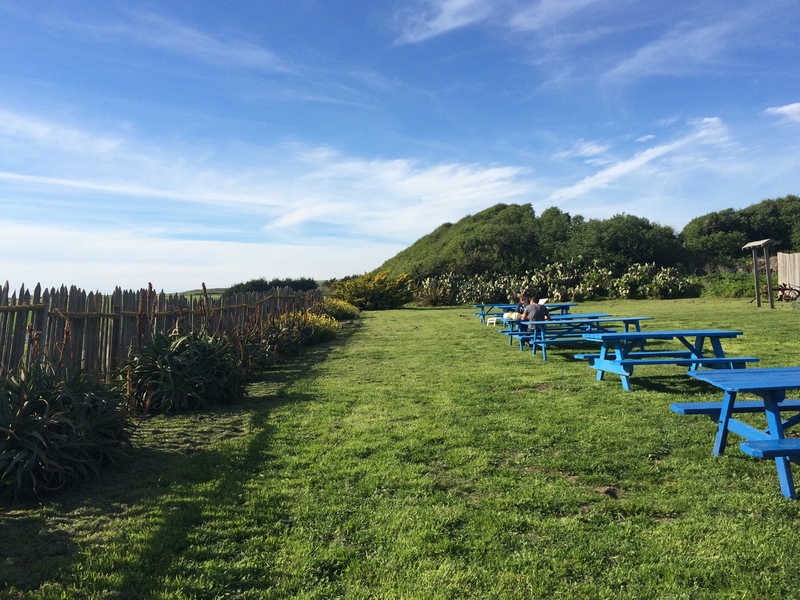 Of course, you can also choose to eat your strawberries outside, overlooking the Pacific. 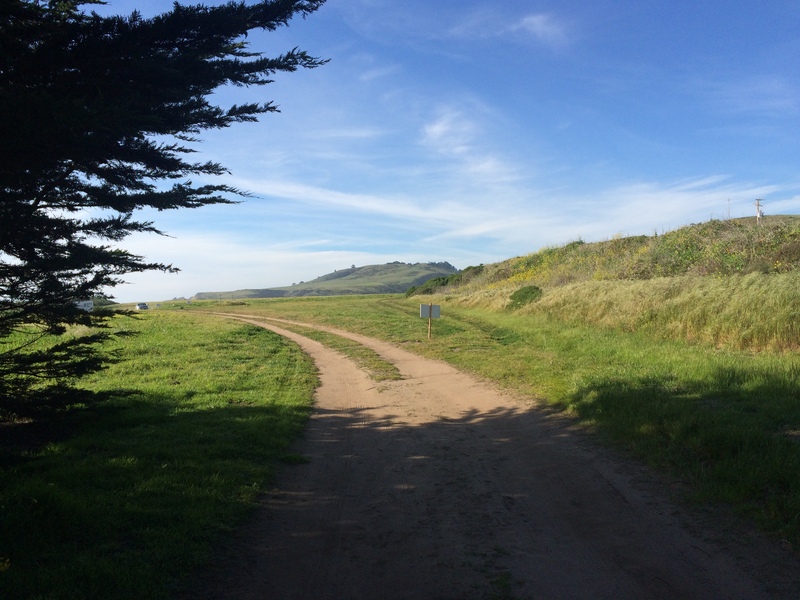 Just remember to bundle up, as it can get windy along the coast! Goodbye, Swanton! Hope to see you again soon! I love this place. Good memories!